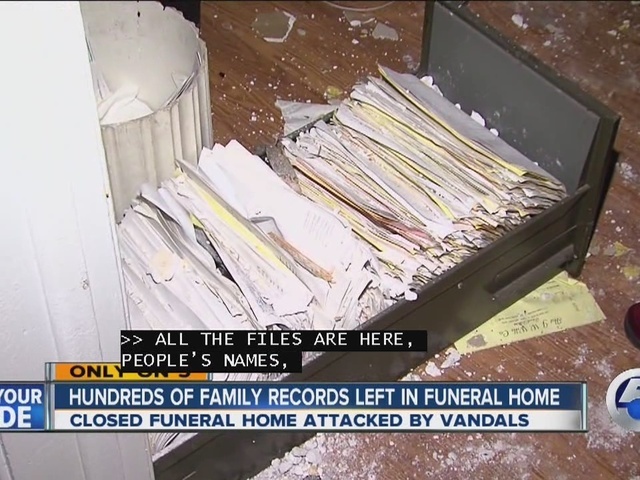 The once-elegant House of Wills Funeral Home on Harvard Avenue in Cleveland is now a target for vandals, who have left the personal records of hundreds of families exposed. 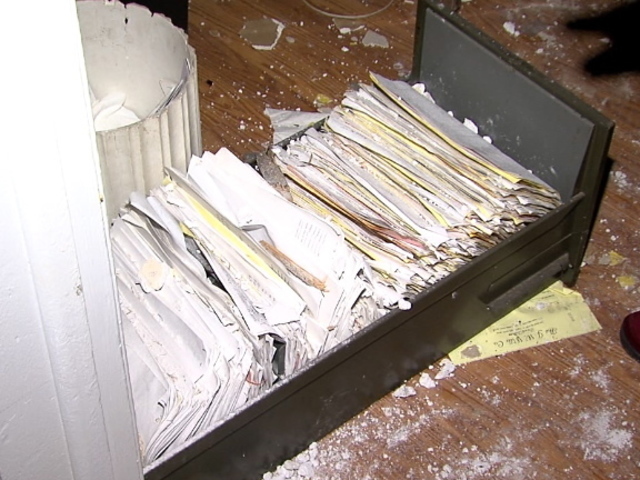 Community activist Anita Gardner showed newsnet5.com how the abandoned property has been broken into, and file cabinets of personal information have been left behind. Gardner said residents have been reporting the break-ins at the now-closed location, but claims Cleveland's Department of Building and Housing has been unable to keep the property secured. "All the files are here, people's names, all their information," said Gardner. "This is her tax records, her credit card records, next of kin, we have wills in here." "And just to allow this place to just fall apart like this and not secure it, secure the things that are still in here. To not secure the family records that were entrusted to you, somebody needs to pay for this one." Gardener told newsnet5.com the City of Cleveland needs to do a better job keeping potentially hazardous properties boarded up and secure. She believes the owners of the funeral home should secure all family records and face thousands in fines. newsnet5.com is in search of the property owner, and contacted Cleveland City Hall about this case. Building and Housing pledged to secure the property within the next 24 hours, and police have been alerted to increase patrols. Meanwhile, Gardner is demanding better city response time when it comes to boarding up potentially dangerous properties. "This is the final resting place, where you brought your families, so you could bring your whole family together so you could put your loved one away with some sort of dignity," said Gardner. "Something must be done."